This is the true story of Ora-Jay and Irene Eash, Amish farmers from northwest Montana whose lives changed in an instant when a semi-truck struck the family buggy, killing their two young daughters. After the accident, the couple turned to their Amish community for comfort, but they remained haunted by the thought that they might not see their girls again in heaven. Would their deeds be good enough? Eventually Ora-Jay and Irene learned that grace―not works―was enough to ensure their place in eternity. But with that knowledge came the realization that they could no longer live in an Amish community that didn’t share this precious belief. Could they sever their connection to the Amish family they loved? This is the story of their journey to the hope that is heaven, a hope stronger than the loss of children, family, and a way of life. 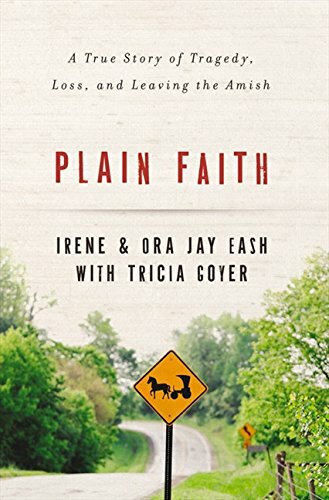 Fans of Amish fiction will appreciate such a real-life look into the Amish community, co-written by bestselling author Tricia Goyer, and readers of all kinds will resonate with this tale of courage, resilience, and the redemption found in the grace of Jesus.